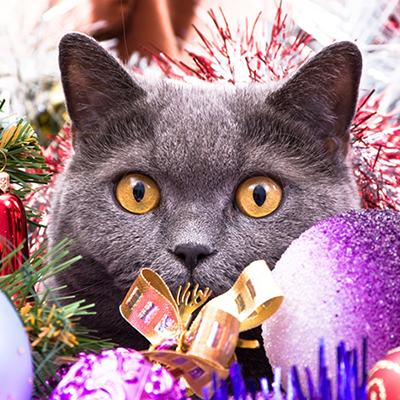 If you think they're ready, here are tips to grant their wish while being good to a kitty, too. 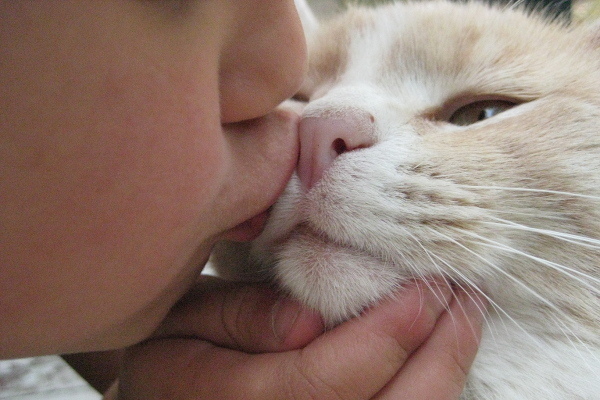 Interactions with other cats, dogs, adults, and children can lead to eliminating outside the box; here are tips on preventing and stopping it. 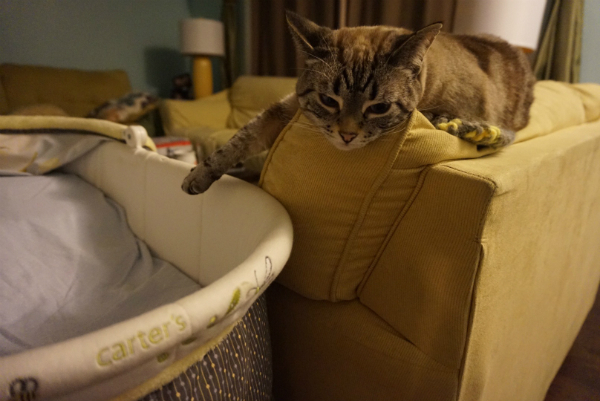 When Ghost Cat saw my infant son’s bassinet, she wanted it. She didn't back off without a fight. 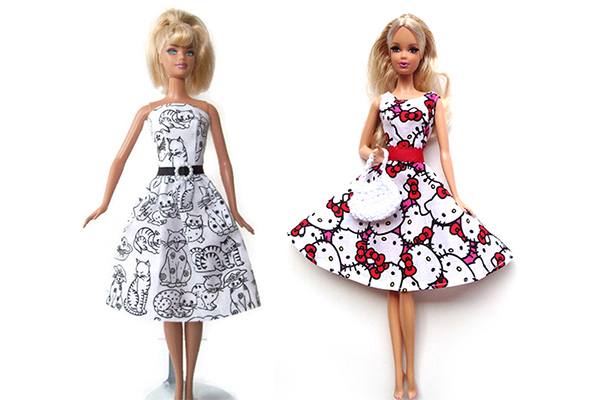 Cat clothing is ubiquitous, even on a small scale; check out these tiny cat-themed dresses for dolls. 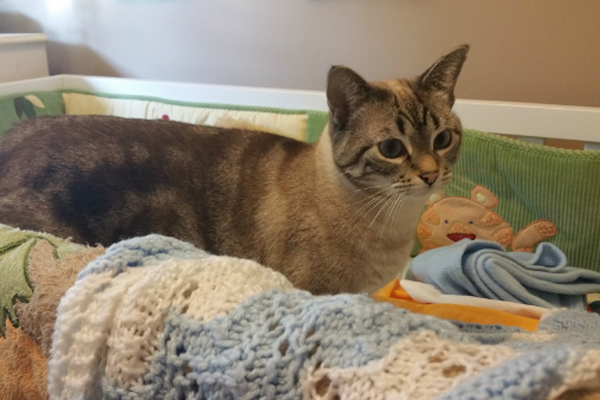 People warn me that my cats are going to kill, maim, or infect my baby. Are they serious? Life lessons are where you find them, and some come from our friends with whiskers and tails. 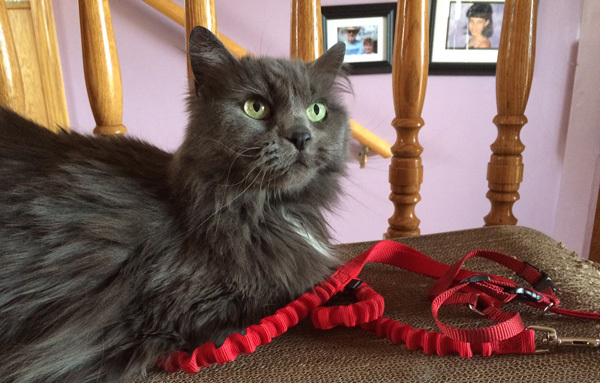 Serious Question: Should You Let Your Kids Walk Your Cat on a Leash? Some cats love outdoor walks; here's how to get started and what to consider if your kids want to hold the leash. "They're cute!" and "My child needs a playmate!" are not the right reasons to adopt a kitten. 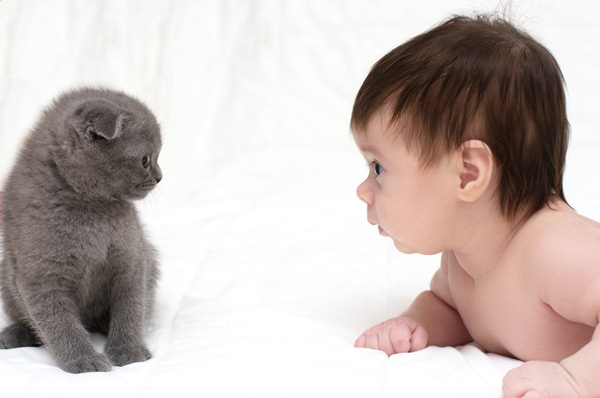 Do Your Cats Like Children? 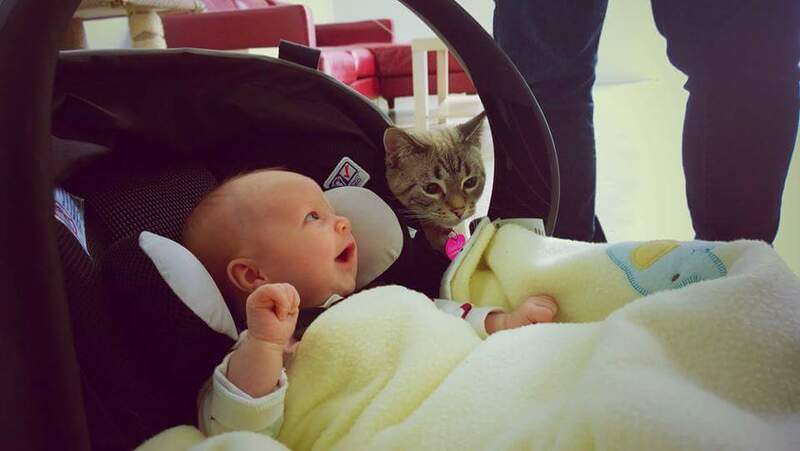 My Ghost Cat thinks kids are awesome, but younger Speck finds little humans pretty scary.